Branched chain amino acids. It provides 2500mg of Leucine per serving. With vitamins. Conjugated linoleic acid in softgels. It provides 3000mg of CLA per daily dose. Without stimulants. Branched chain amino acids with conjugated linoleic acid and L-carnitine. It provides 3750mg of BCAA's per serving. Branched amino acids. It provides 2500mg of L-leucine, 1250mg of L-valine and 1250mg of L-isoleucine per serving. Branched amino acids. It provides L-leucine, L-valine and L-isoleucine. With 2500mg of L-leucine per serving. L-carnitine tartarte in capsules. It provides 1500mg of L-carnitine per daily dose. Without stimulants. Pre-workout with 3000mg of creatine per serving. It has Beta Alanine, Anhydrous Betaine, and caffeine. Fat-burner without stimulants and with Garcinia Cambogia, green coffee bean extract, CLA, L-carnitine, and green tea leaf extract. 100% Creatine Monohydrate. It provides 5000mg per daily dose. Unflavored. Fat-burner powder without stimulants and with Garcinia Cambogia, green coffee bean extract, CLA, L-carnitine, and green tea leaf extract. EVL is a brand set in Sunrise, Florida. The objective of Evlution Nutrition is to meet all the needs regarding the performance and sports health with their supplements, from energy to endurance during the workout, to the recovery and physical support for the entire day. The objective of EVL is that all people reach their goals and can raise them even higher with the help of their products. An enterprise that is passionate about nutrition, health, and sports; that whishes to evolve their products constantly in order to guarantee the most innovative supplements of the highest quality and be able to offer the best to those who are passionate about sports. EVL has a wide range of products for sports nutrition in order to obtain optimal results, offering the highest quality supplements. 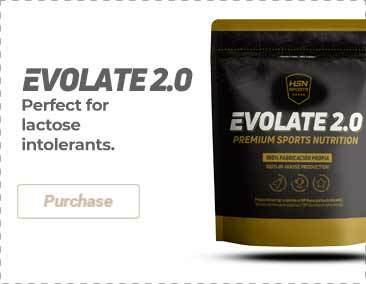 Evlution Nutrition is the perfect companion of sportspeople and athletes, helping them to give their best and improve the performance in the workouts.